Read more on Lent for Kids and our favorite children’s books and Activities for the Lenten season. Soon after the Christmas celebrations have ended, it’s time to start preparing for another large celebration – Easter. As a Catholic Family, the way we prepare for Easter, is through the Lenten season. The Lenten Season is a time of prayer, fasting, and almsgiving – all of which can be done by children and adults alike. As with anything that I teach my children, I like to incorporate books along with hands on activities, and the season of Lent is no different. Just as we would read books throughout Advent leading up to Christmas, we do the same for Lent. As you are preparing for Easter, you can chose any of these top children’s books and activities for the lenten season to read with your child and teach them all about why we fast, pray, and give alms during this time of year. What we do in Lent – children’s activity book. Suitable for any denomination that follows the liturgical calendar. Amon’s Adventure – a fictional story of a boy’s adventure that explains the sacrifices of Lent. Catholic Lent and Easter Activity book. Takes children on a journey through Ash Wednesday to Pentecost. Make Room: A Child’s guide to Lent and Easter. A book full of activities for Lent and Easter. Bring Lent to Life – Fasting is not just giving up candy, almsgiving is more than giving away your unused allowance, and prayer becomes active. Embark on the adventure of practicing the three tenets of Lent in new ways. 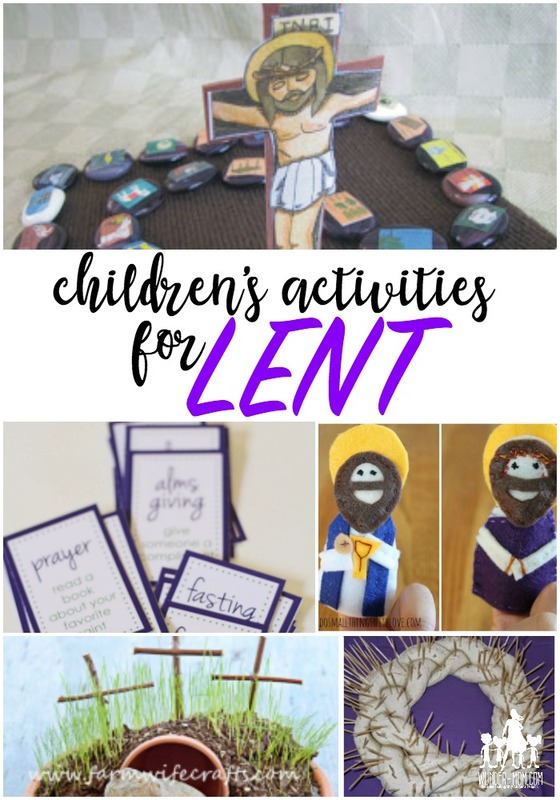 These meaningful activities to do with your family during Lent will teach your children in a captivating way that helps them to understand the Lenten Season. Use a Lenten good deeds chart or a Good Deeds Jar of sacrifice beans that will turn to Jelly beans on Easter morning! Build a resurrection garden to provide a visual representation of what we are preparing for during Lent. The whole family can participate in this and it makes a beautiful centerpiece for you table for the Lenten Season. Frugal Fun for Boys and Girls show us how you can use your LEGO to build a resurrection garden! Make these stepping stones through Jesus’ life to follow along. Use a printable Lenten calendar to follow along during the 40 days. Print out sacrifice cards and complete the tasks. Make a Lenten prayer list chain of people – just print and color the template. Play a game of Lenten Bingo to learn all about the season. Make a prayer chain and pray together as a family for the intentions. Make a salt dough crown of thorns. Put together stations of the cross bags to help children visualize each station. Print and Color a Jesus Tree to follow along during Lent. The older kids will really enjoy this printable Lent crossword puzzle. Looking for more? 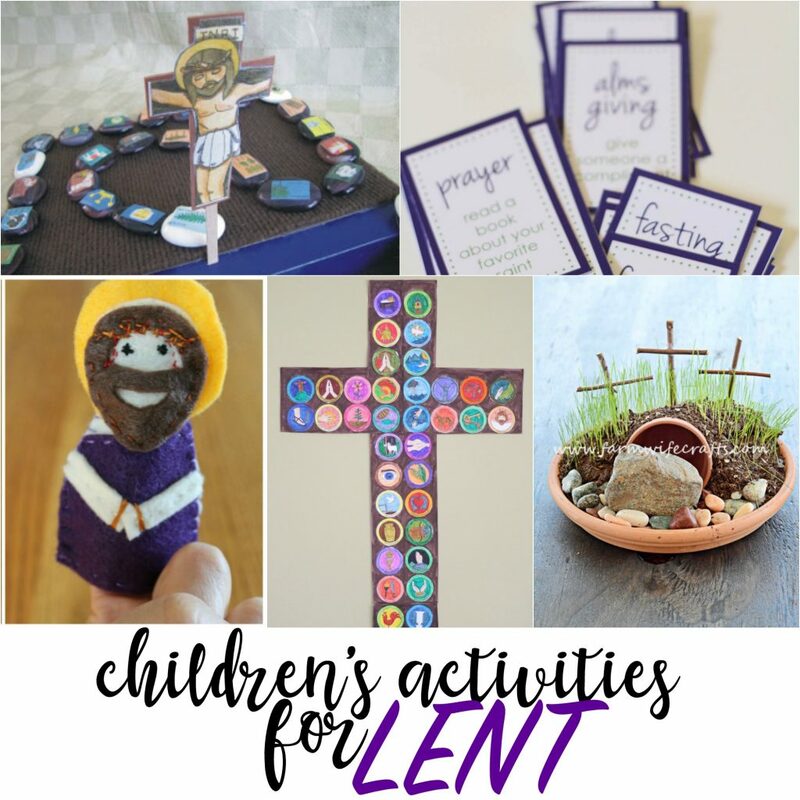 Check out this list of 40 Lenten Activities for Kids.